Are you interested in becoming a database administrator? Does this career path excite you? Learn how to become a database administrator with the simple steps in this article. First of all, before we get into the steps for becoming a database administrator, let’s learn what a DBA (database administrator) actually is. A database administrator is responsible for the databases for a particular company. They may be responsible for a single database, or a number of databases, depending on the size of the company and the number of other DBAs involved. A DBA is usually involved in many areas of a database or set of databases. They monitor the databases as they are running to ensure that they are not overused and are running efficiently. They implement preventative tasks such as clean-ups and patching. They also assist project teams if necessary with designing databases and improving queries. They also help set up users, privileges and other security settings on a database. This means that a database administrator needs to have a wide variety of skills – writing queries, designing databases, security, performance and monitoring. So, how do you become a database administrator? I’ve listed out the steps involved in this article. While the title of this article mentions they are “simple steps”, the process has been broken down into simple steps. The work involved is not that simple and may take some time. Decide which technology: Oracle or Microsoft (usually). 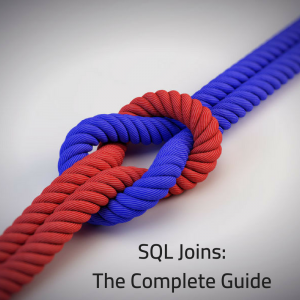 Learn the SQL for that database vendor. Learn more advanced SQL and database topics. Look for junior database developer roles. Get experience as a database developer. Look for junior database administrator roles. Move into a database administrator role. There are two main types of database administrators, one for each of the major database management systems. Oracle and Microsoft both offer database management systems which are widely used, and most database administrators usually specialise in one or the other. While they both run the SQL language with some minor differences, the administration side of them is widely different. 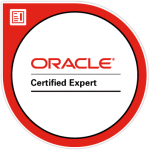 An Oracle DBA would know the same administration concepts as a Microsoft SQL Server DBA, but the actual implementation and setup and details are quite different. Sure, there are other database systems out there, but they are not as widely used in companies these days. If you’re looking to become a database administrator, I would suggest choosing one of these two technologies. Not sure which one to pick? Well, which languages are you more familiar with – Java, or .NET? This may impact your decision, as Java is related to Oracle and .Net is related to Microsoft (but not restricted). You can also do some research into the companies that you’d like to work for, or even into the company you currently work for, to see what is being used and what the demand is. The next step, after you’ve decided between Oracle and Microsoft, is to learn the SQL language related to that type of database. This is because that DBAs need to know how to write SQL. Even though they might not write as many SELECT statements as someone who works in business intelligence or a database developer, starting with the basics is a great way to get into any role. If you still haven’t decided between these two technologies, you can learn both of them at this stage. It’s quite easy to learn one type of SQL and then move into the other type, as most of it is the same. Learn both Oracle and Microsoft SQL, which can then help you decide which kind of database you prefer working with. Once you’ve learnt the basics of the SQL language, you’ll need to move on to more advanced topics. Database administrators are experts in their field, and need to be quite knowledgeable about different areas of a database to be effective. While they might not use this kind of information on the job every day, knowing it will actually help them do their job. These are just some of the topics, and their implementation varies between Oracle and Microsoft. Learning about these topics will make you become a more effective DBA. 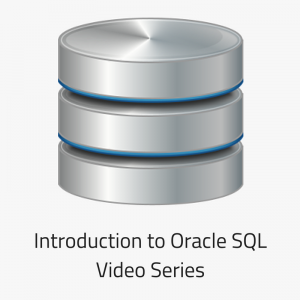 If you’re interested in learning SQL online, you can read guide on online SQL tutorials here. Database administration is a separate topic to learn. It’s taught in some courses, but the knowledge you need for administration is more than just writing SQL. Being a database administrator means you need to know how to monitor, set up, and perform maintenance on these kinds of databases. Once again, these are just some of the skills needed for a database administrator. An optional step for how to become a database administrator is to start with a role as a database developer. This is optional as it’s not needed. You don’t need to be a developer before you become an administrator, but I think the experience you get as a developer can really help see things from the other side. Once you have the knowledge that I mentioned above, or even just the intro and advanced SQL topics, you can start looking for junior database developer roles in your chosen database management system (Oracle or Microsoft). Both kinds of roles should be pretty popular, so have a look on your favourite job searching website. These kinds of roles are targeted towards those who have minimal experience in databases, and if you’re just learning, this would be just your kind of role. 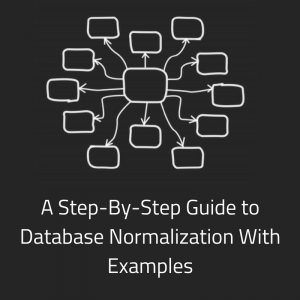 So, if you’re interested in databases, you can start here. I think it’s an optional step, but is recommended. This is also an optional step, as it’s related to the previous step of getting a role as a database developer first. 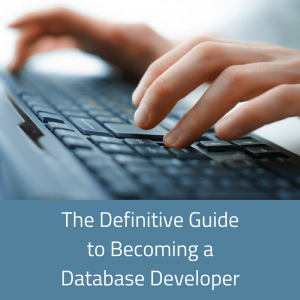 If you’ve decided to become a database developer, the next step is to get some experience. Get at least a couple of years’ experience as a database developer to truly understand what this role involves and how it’s done. This kind of experience will help you in the long term and in your role as a database administrator in the future. This is where you put into practice all of the skills you’ve learnt. You’ll get to work on projects where you write SQL, design databases, and run queries for different reasons. The experience you get here will be useful in the future. Now is the time where you can move into the actual database administration side. Have a look for some Junior Database Administrator roles, either within your own company or externally. Once again, they are junior roles as they appeal to those who have no experience in the actual role. While you may have some experience as a database developer (which I think is optional but recommended), the experience as a DBA is quite different. You might have more success looking inside your own company for this kind of role. 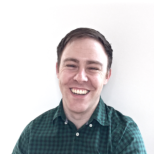 If you’ve spent some time as a database developer, you might know who the database administrators are, which you can speak to about moving into that kind of role. It’s usually easier to get hired within your company than to look outside the company. A junior DBA role might also be working within a team of more senior database administrators and may not have full control or responsibility of a database. That’s OK though, you’ll get to learn what’s involved and get some invaluable experience about database administration. Which brings me to the last step. The final step is to actually move into the role you’ve been aiming for – the role of a database administrator. Similar to a junior DBA, a normal DBA is someone who has experience as a DBA but can manage a database or set of databases on their own. They don’t need supervision as they have had the experience in the role already. This may take some time to get into. You might need six months or a couple of years’ experience before you get to this point, depending on the company you work for. In any case, getting to this role involves more responsibility and knowledge, so make sure you keep up to date on the latest issues in your chosen database and what’s happening with the databases in your company. Well, there you have it. I’ve listed out what the steps are on how to become a database administrator. Do you have any questions on this particular career path? Share them in the section below. Career Action Tip: Determine which of the steps above you have completed, and then decide which step is next on this list for you. Determine the next action to proceed with that step in the process. Hi, liked the blog, interested to be a DBA, but not yet started my first step towards it, hope to start soon.